Filipinos will not see a significant increase in their salaries this year despite the rising cost of living, at least according to a report by Willis Towers Watson. In its latest Salary Budget Planning Report, the global brokerage and advisory company estimates salary increases this year will remain at six percent, the same as in 2018. It also said a majority of employees in the country are likely to receive a salary hike lower than the inflation rate. The increase in consumer prices in the Philippines hit fresh highs last year. It peaked at 6.7 percent in September and October, bringing the whole-year average to 5.2 percent. "With the increasing prices for basic commodities such as food, rice, non-alcoholic drinks, as well as costs for housing, water, electricity, gas, and other fuels, Filipinos are now carefully assessing how they can further stretch their current income,” Willis Towers Watson wrote in its report. Indeed, even alcoholic drinks were affected by the rising inflation last year. 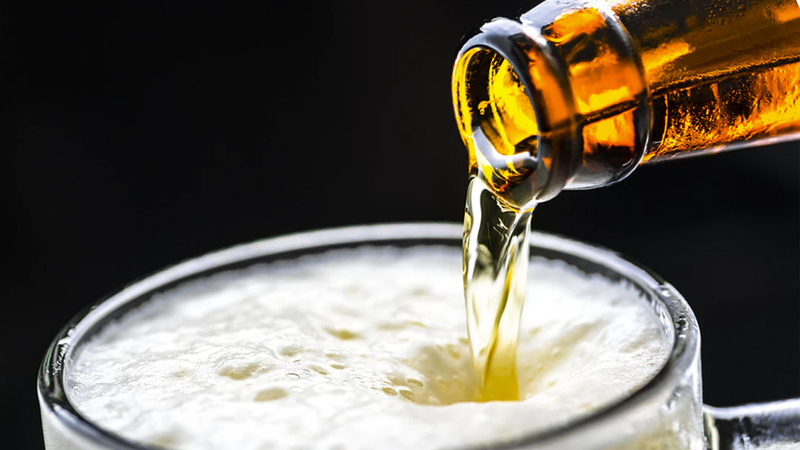 A bottle of Heineken beer now costs P86.40 according to online bar Alak.ph, from just P50 per bottle in July 2018. Similarly, a Johnnie Walker Black Ltr. bottle is now worth P1,260.00 from just P1,020.00 six months ago. In an ideal world, salaries should keep up with the rising prices of commodities in order for people to live and maintain their lifestyles. However, the opposite has been happening in the last nine years. Based on data provided by Willis Towers Watson, the six-percent salary increase in 2018 (which is the same as the projected this 2019) is the lowest since 2010. But it was also the year with the highest recorded inflation rate within the nine-year period. 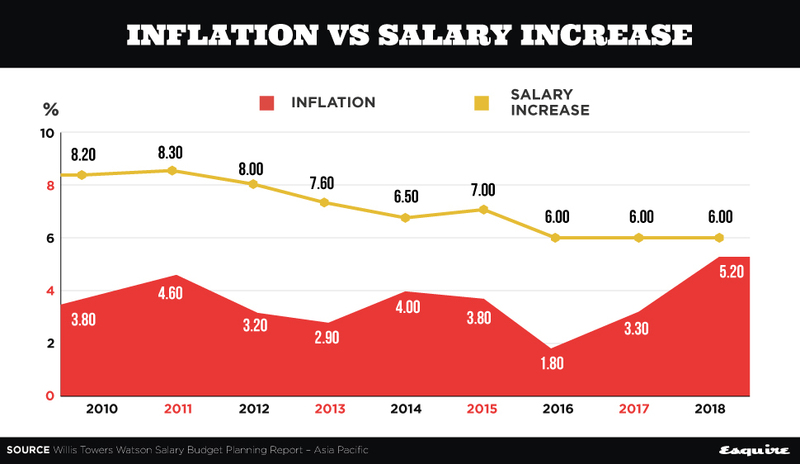 “Looking at the historical data on inflation rate vis-a-vis salary increase in the Philippines, companies always maintain a comfortable three to four percent upside difference on salary increase compared to the inflation rate,” said Vangie Daquilanea, Global Data Services Head for the Philippines, Malaysia, Thailand, Cambodia, and Myanmar. Daquilanea explained that companies typically use the inflation rate as a basis in determining the salary increase to be given to their average employees, or those who fall short of their performance objectives. She said that this is also to ensure that their high performers get a salary increase higher than the inflation rates. “With a budgeted salary increase at only about one percent higher than the inflation rate, there is henceforth very little room for employers to differentiate how they can reward the high performers and average performers in their companies,’’ Daquilanea added. Willis Towers Watson surveyed approximately 500 respondents from companies across 12 industries in the Philippines in July 2018. It is part of the Total Compensation Survey Report, an annual report produced byÂWillis Towers Watson’s Data Services Practice.